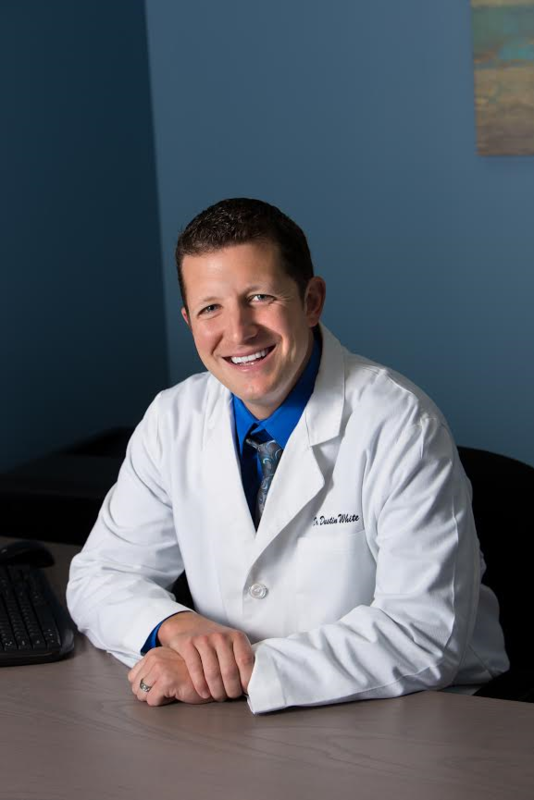 Dr. Goetsch grew up in Pine City, MN and graduated from Pine City High School in 2008. She obtained a Bachelor of Arts degree in Biology from The College of St. Scholastica in 2012. 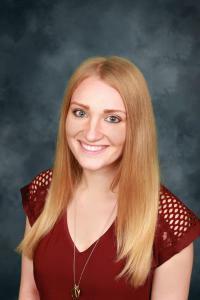 She continued her studies at the University of Minnesota School of Dentistry and graduated in 2016. Dr. Goetsch enjoys getting to know each patient and providing compassionate family dental care to meet their unique needs. She also enjoys staying current with new developments in the dental field by taking numerous continuing education courses. Outside of serving patients at the dental clinic, she enjoys spending time with her family and friends, hiking with her dog Nirvana, hunting, fishing, and exploring new places. She is excited to start providing care to those in the Spring Lake Park area and hopes to serve the region’s dental care needs for many years to come. Dr. Dustin White is a Minnesota native, originally from Stillwater, MN. He received his undergraduate degree in Biology and minor in Chemistry at the University of Minnesota, Duluth. After he graduated, he attended the University of Minnesota Dental School and received his Doctor of Dental Surgery in the year of 2010. Post graduation, Dr. White moved to New Orleans, LA, where he joined the National Health Service Core to practice dentistry and provide for the less fortunate for a year. After his year of service, he worked at a successful dental practice for the next four years. After the birth of their first son, Thomas, he and his wife Brittany moved back north to be close with their families. Dr. White has experience in all fields of dentistry. He works hard to both give back to the community and to make dental care as comfortable and pain-free as possible. Some of the dental services that he enjoys providing include Lumineers, Implants, and Invisalign. Some of his other hobbies and enjoyments include travelling, spending time with family, and exploring the outdoors with his two Golden Retrievers, Louie and Lily! Our beautiful lumineers give you the natural look you want, and what’s more, they feel great! Get the smile you want and boost your confidence with our quality lumineers. White Smiles Family Dentistry offers top-quality cosmetic dental services for all ages. Schedule your appointment with us today! You don’t have to live with missing teeth; you can have our prosthodontist help you by replacing your teeth with professional, attractive implants. This is a great solution to missing teeth, and one that patients across the nation are satisfied with. Make your appointment with our dental office today! People oftentimes feel nervous about going to the dentist based on past experiences. Our gentle anesthesia technique is designed to minimize pain and reduce any anxiety you may be feeling. This process creates a better experience for patients and is both gentle and safe. Reach out to us to learn more! ©2018 White Smiles Family Dentistry - Do not copy. All rights reserved.